Years and years and years ago, I was having some conversation with John Schmidt about I have no idea what but it had something to do with cars and fixing something or other. I vaguely recall he was talking about a friend he had a crush on, but I could have that part muddled with other memories. Yeah, so we had been talking about fixing something, repairing something, and he was telling me about changing the oil in his car and how he was struggling to remove the oil filter. The filter had been tightened beyond spec, and he just COULD. NOT. TWIST. IT. OFF. The engine had been leaking, the filter had oil on it, he didn't have the right tools, the car wasn't up on a ramp, all sorts of things wrong with this situation and removing that oil filter. Until either said crush said something, or he recalled something this crush said, or just had is own epiphany, but he realized that because he was trying to remove this filter, he didn't have to preserve it. He didn't need the filter to come off in one piece, and he wasn't going to reuse this filter. He jammed a long screwdriver into the filter, grabbed the handle, and jerked. The filter unstuck and screwed off. Voila, he could continue changing the oil in the car. This particular story comes to mind frequently when I have things that aren't. quite. right but are really close, and I have to wonder why I wouldn't modify it to be exactly what I want or need. 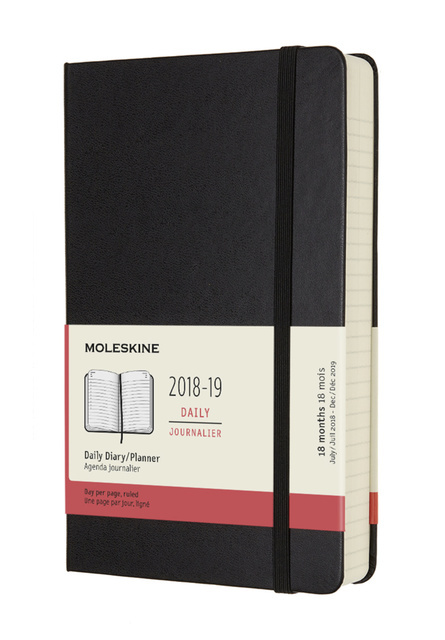 Take my notebooks (journals, everyday books, those things). I really like the size of the "large" hardback Moleskine: nominally 8" x 5", 6mm thinly lined, 192 pages. I use about 30 pages in the front of the book each time for my goal tracking, and two pages a day minimum keeping notes, tracking my day, planning goals, generating ideas, and reviewing my day. Which is to say, those 192 pages last me less than 3 months. I love the notebook, but really want a book to last longer than three months, especially since I take about 8 hours to reset a new journal. I keep hoping Moleskine will make a book of the same size but more pages. They pretty much don't. 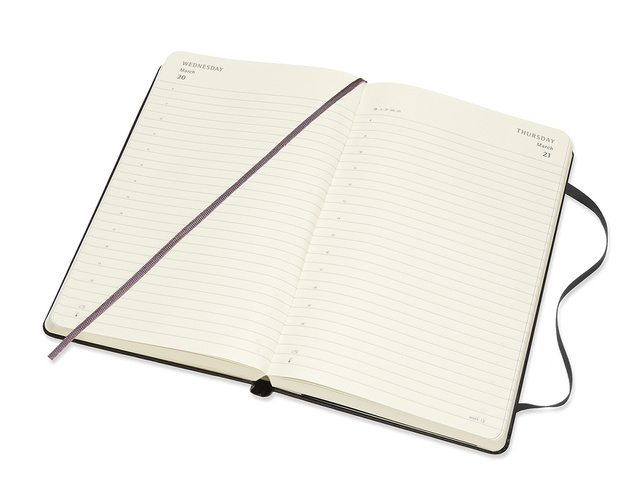 The pages are marked with times along the side of the weekday entries for planning a day. I ignore the hour markings along the side. I scribble out the crap I don't need, which is to say, the date at the top of every page, if I don't slap a sticker over it. I ignore the holiday markings and the week tally. I use the lines, the thinly-printed, 6mm spaced lines, and rejoice. I have a notebook that's really really close to what I want. I finally (FINALLY) have a 600 page book of the right size, with many many pages, and lasting me six months. Six. Whole. Months. Hot damn. Yay! Close enough.